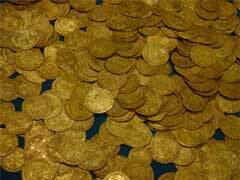 Old Gold Coins for Sale – Are They Good Gold Investment? There are generally two types of players on the numismatic market, collectors and investors. Collectors acquire rare historical pieces for entirely different reasons than investors do. The first ones value coins’ age, grade and aesthetic appeal. All these factors are irrelevant for investors who buy bullion choices to exclusively track the market prices of precious metals. Investing in old gold coins could only be profitable if you possess strong numismatic knowledge and have the ability to pick through a wide selection of rare coins available on the market. Assessing old coins and their value is like separating grains from chaff and uncovering whether a certain coin is truly worth its asking price. Dealer premiums and costs associated with acquiring rare pieces are also dramatically higher and do not make much sense if you are interested in buying them for their metal content. Generally, old gold coins values are comprised of three major factors, the actual gold content, grade and numismatic value. While the two first criteria are easily assessed, the problem usually arises while determining the actual numismatic value that is concluded from historical stand point and rarity factors. Am I truly willing to pay for old gold coins and the story behind them and will I be able to get my money back once I decide to sell them? These are the questions a true numismatic investor is answering every time he makes a coin investment pick. If you do decide to invest in old gold coins, set aside no more than 10% of your overall investment portfolio specifically for rare coins, this creates a well-rounded and diversified investment package. When buying rare Russian gold coins or any other historical coins, make sure they are certified and plastic sealed with a numismatic seal of approval by one of the recognized coin grading agency like NGC, PCGS, ANACS and ICG. Same is true for buying old British coins that have quite a few recorded fakes due to popularity of such coins. In case you are not a numismatic expert, it’s better to stay away from investing into old coins and choose gold proof bullion coins instead. Buying old gold coins always carries a risk of running into a dishonest dealer trying to sell overpriced pieces for more than they are actually worth. Gold proof bullion coins have more predictable value and eliminate significant investment risks associated with rare gold coins like, for example, Napoleon gold coins. Historical coins values are considered very volatile due to ever changing coin market demands.